Includes 12 sizes of Wrap Sweaters with Set-in Short, Three-quarter and Long Sleeves. These may be worn year round. Wrap sweaters and vests are this season’s hottest trend in terms of comfort, wearability, and versatility. 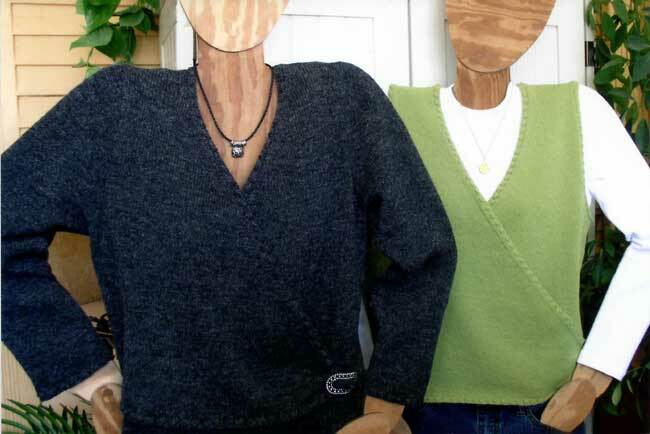 Learn how to knit this stylish sweater and to do numerous trims and embellishments. Keeping these in your closet and “what should I wear?” will never be an issue.